Project Medicine Drop provides the opportunity to discard unused prescription medications every day throughout the year. 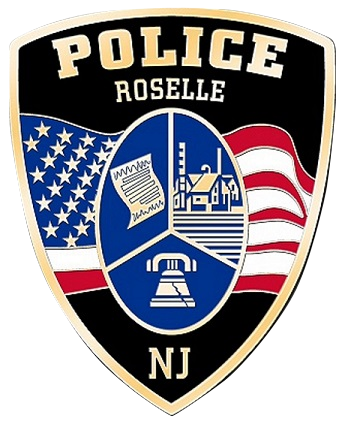 The Roselle Police Department maintains custody of the deposited drugs, and disposes of them according to their normal procedures for the custody and destruction of controlled dangerous substances. We report the quantity of discarded drugs to the Division of Consumer Affairs on a quarterly basis. Residents may visit the Roselle Police Department at any time, 24 hours a day, 7 days a week to dispose of their unused or excess medications. The drop box is located in the lobby of the Police Department located at 210 Chestnut Street, Roselle, NJ. 1. 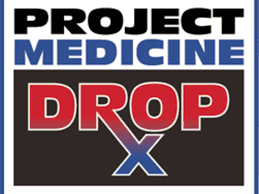 What is Project Medicine Drop? The police agencies agree to keep the locked metal boxes indoors, affixed to the floor or wall in a secure area within police department headquarters, within view of law enforcement officers, in an area to which members of the public may be admitted to drop off their unused and expired medications. Their prominent "Project Medicine Drop" logos make the boxes clearly visible and recognizable. Project Medicine Drop allows the public to dispose of unused and expired prescription medications safely, securely, and anonymously. The opportunity is available 7 days a week, 365 days a year. Project Medicine Drop provides the opportunity to discard unused expired prescription medications, every day throughout the year. The participating police agencies maintain custody of the deposited drugs and dispose of them according to their normal procedures for the custody and destruction of controlled dangerous substances. They report the quantity of discarded drugs to the Division of Consumer Affairs on a quarterly basis. Consumers from anywhere in New Jersey may deposit their medications in any of the drop boxes. 2. What Types of Medication May I Dispose Of in the Boxes? For safety reasons, the Project Medicine Drop boxes can only accept solid medications such as pills, patches, inhalers, and similar objects. The boxes cannot accept liquids, medical waste, or syringes. Consumers wishing to dispose of these objects should speak with their doctors or pharmacists to find the safest and best ways to dispose of them. It should also be noted that consumers may only dispose of legal prescription or over-the-counter medications. Anyone wishing to dispose of any illicit drug, should follow the normal procedure of reporting it to the police. 3. Are There Any Other Safe Ways to Dispose of Prescription Medications? Consumers are NOT advised to flush unused medications down the drain, or simply discard them in the trash. Scientists have expressed concerns about the effects of medications being released into the water supplies after having been flushed down the toilet or sink, and the U.S. Geological Survey has found traces of pharmaceuticals in streams in 30 states. Simply placing drugs in the trash creates the potential that they will be found by those seeking to sell or abuse them.